If there's one sweet treat I struggle to bake, it's biscuits and cookies. 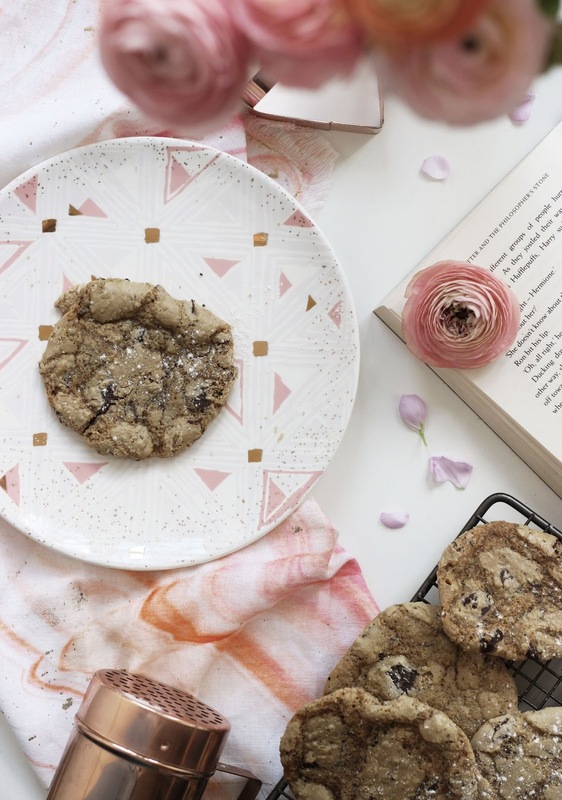 I could never get the consistency and taste quite right, but I've been loving this Chewy Chocolate Chip Cookie recipe and decided to adjust the ingredients until I got it perfect. I start off by measuring out my white sugar and golden caster sugar to set aside in a bowl. I then start melting the butter until smooth. Pour the butter into the sugar bowl and stir. Add your 1 egg and 1 egg yolk to the mixture and stir until smooth, adding the vanilla extract as you go. Measure out the flour and slowly add this to the mixture alongside the baking powder. After it's smooth and fully stirred. Stir in the chocolate chips carefully by hand. Dollop the mixture into a circle (around 1 1/2 inches round) and space them a few inches apart to allow for spread. Place in the oven for 20 minutes or until they start to brown around the edges. Place on a cooling rack to cool and enjoy! What's your favourite sweet treat to bake?